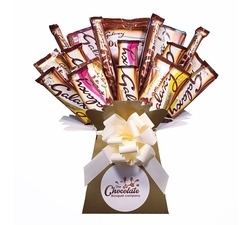 Our selection of chocolate bouquets feature some of the worlds best known chocolate brands, beautifully crafted into stunning bouquets. 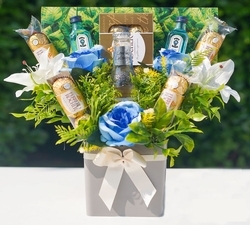 A fantastic gift for friends, family or colleagues, and perfect for any occasion. 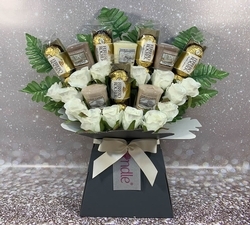 Our selection of chocolate bouquets feature some of the worlds best known chocolate brands, beautifully crafted into stunning bouquets. 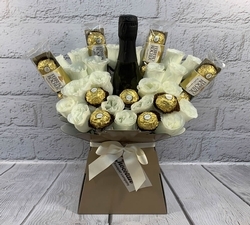 Perfect for any occasion - be it a birthday, anniversary, a Get Well Soon gift or a simple Thank You. 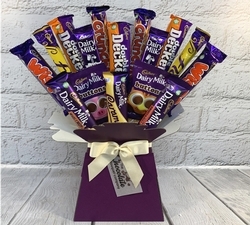 And whether they love Lindt, Ferrero, Galaxy, Kinder or Cadburys - browse our range and you are sure to find the perfect bouquet to impress! 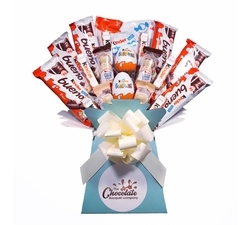 Choose a best-selling Cadburys or Kinder chocolate bouquet. 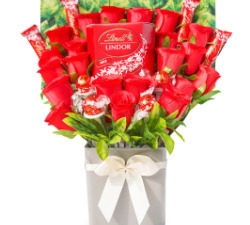 Or if your chocolate-loving friend prefers premium chocolate go for the Lindt Chocolate Bouquet, our impressively large Luxury Chocolate Bouquet or even the Ferrero Rocher & Prosecco gift. And if they are on a diet we even have a chocolate-free bouquet featuring a great selection of official Yankee Candle Wax Melts & Tealights. 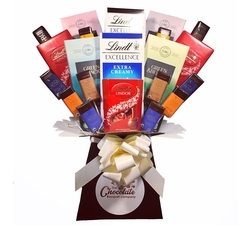 Whatever their taste in chocolates you are sure to find the perfect gift for your loved one, crafted by hand. 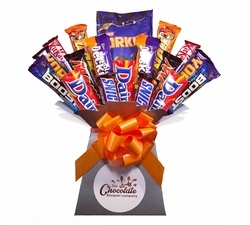 We can deliver throughout the UK and Ireland using a fully tracked and signed-for service so you know your chocolate bouquet has arrived safely.